Jaysen Andersen, Principal, Jefferson High School, Minneapolis, MN: ​"Every school administrator, and really every educator, needs to be on Twitter. This is not a statement I realized to be true until I was actually active on Twitter, but now I regret waiting so long. 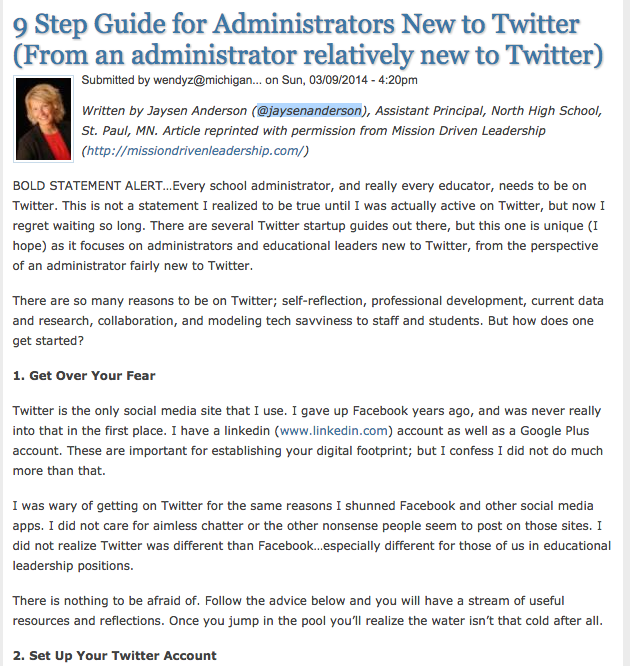 There are several Twitter startup guides out there, but this one is unique (I hope) as it focuses on administrators and educational leaders new to Twitter, from the perspective of an administrator fairly new to Twitter."